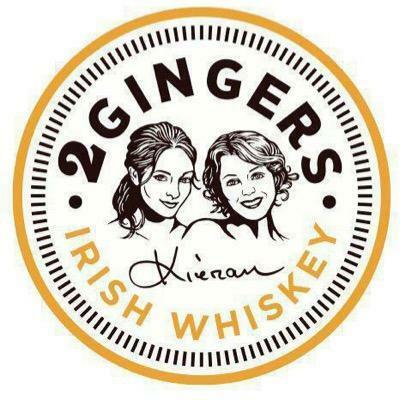 2 GINGERS whiskey is faithfully distilled at the famed Kilbeggan Distillery in Ireland, formerly called the Cooley Distillery. The award-winning spirit is smooth, malty, and slightly sweet to start, with a tingle of honey and citrus. The woody essence of this four-year-aged blend suggests caramel and vanilla to the finish. Kieran Folliard was inspired by his fiery-haired mother and aunt to start 2 GINGERS whiskeythe spirit over which ideas travel forward. Mary and Delia, whose faces are found on our bottle, never wasted a good idea by pondering its impossibilities. 2 GINGERS whiskey is a product of an undeniable urge to make a go of a good idea. Our loftiest goal at 2 GINGERS WHISKEY CO. Is to motivate people into action. The 2 GINGERS motto is dedicated to those who actively pursue their passions: "Bring Your Own Luck!"